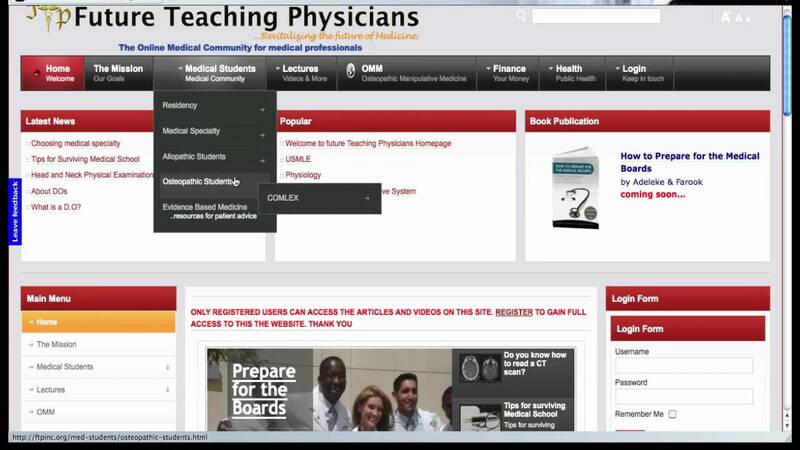 Future teaching physicians website is an online medical community to enlighten medical professionals. We hope you like this video and if you want to join our FREE online course- you can find it below. We help prepare students studying for the USMLE, COMLEX, NCLEX-RN, NCLEX-PN, PANCE, AANC and ABIM exams. Our students have a 99% pass rate. You can get access to watch more video like this?